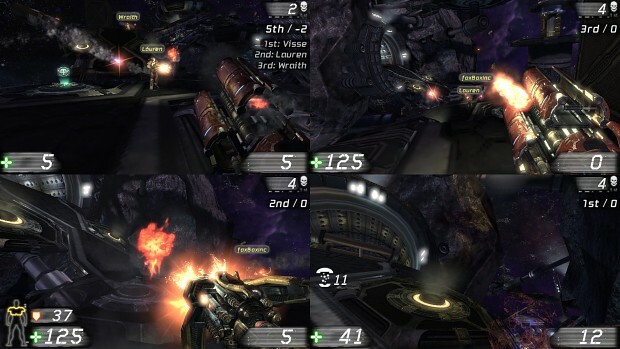 Automatic guest-style player renaming - "fox", "fox(2)", "fox(3)" instead of "Player258"
Analog stick quick-configuration - southpaw, legacy, etc. Prefer certain vehicle types according to effectiveness - generally prefer flying vehicles, fast vehicles for objective capping, artillery, etc. Move in position to tow the flag carrier when appropriate and in a fast vehicle - Scorpion, Manta, etc. Greetings everyone! 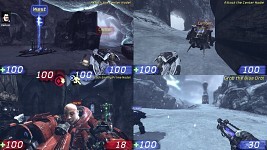 I'm proud to present the newest release of foxMod, a small pet project for Unreal Tournament III that aims to improve the game's AI while also adding hor+ FOV widescreen support and 4-player splitscreen support with enhanced gamepad control. Play UT on the couch with your friends! Some of the more noteworthy additions in this release include new risk-based pathfinding routines for the AI, which allows them to choose potentially longer, but safer routes when on route to an objective (such as running the flag) and make more effective use of level geometry as cover during combat. Also of note is a redesigned audio system for splitscreen that fixes all of the previous splitscreen audio issues, as well as improved campaign mutator support (no more console commands). Finally, full network play support and stability improvements across the board round out the release. Interested? Check it out here on ModDB! Sounds now only play for the closest player in splitscreen (fixes all known splitscreen audio bugs). Removed volume normalization as it's no longer needed. AI now check if they're close to the ground before hoverboarding, getting out of a vehicle to heal, etc. Short post detailing soon-to-be-released work on new stuff. 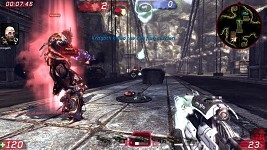 Short post on the release of v0.4 and a blurb about UT3 AI work. Post detailing soon-coming 0.4 release, along with a WIP changelog. 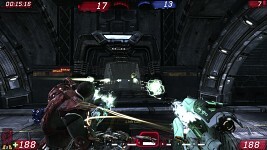 First test of foxMod for the PS3 version of UT3. Currently very beta and may not work! The eighth release of foxMod sees improvements all around, particularly with AI, client-side features and interaction with vanilla UT clients. I'm having the problem that after loading a map, no keystrokes are detected, nothing happens when I press a key on the keyboard or a mouse button. Only "Tab" is working and reacting to my keyboard, and mouse movement. When I plug in my Xbox 360 controller, it works as well. I'm not sure whether this is related to this mod, as I don't recall precisely when it first happened. Nevertheless, does anyone have a clue where this could be coming from? Thanks. 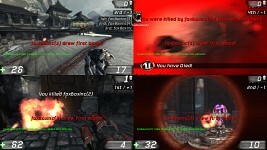 @foxBoxInc Is there any way to play splitscreen with mouse & keyboard for player 0 and an XBOX360 controller for player 1? Both mouse/keyboard and controller only work for player 0. I second this...it is possible? The Hor+ FOV scaling doesn't work. Widescreen resolutions still chop off the top and bottom parts of the screen. Nevermind. Apparently you have to use mutators to activate the functions of the mod. I was under the impression that no mutators were necessary for the FOV fix, like in the mod author's foxWSFix for UT2004. Dodge key not working. Toggle Crouch / Dodge just makes me jump with a keyboard. How in the world do I use the dodge key? Am I missing something? I've searched through your inis and found nothing pertaining to a dodge key for the keyboard. how do I make player 1 mouse+keyboard, player 2 gamepad? please help! Awesome Mod! Near Perfect! If only more PC games would have splitscreen support.